Hello friends! 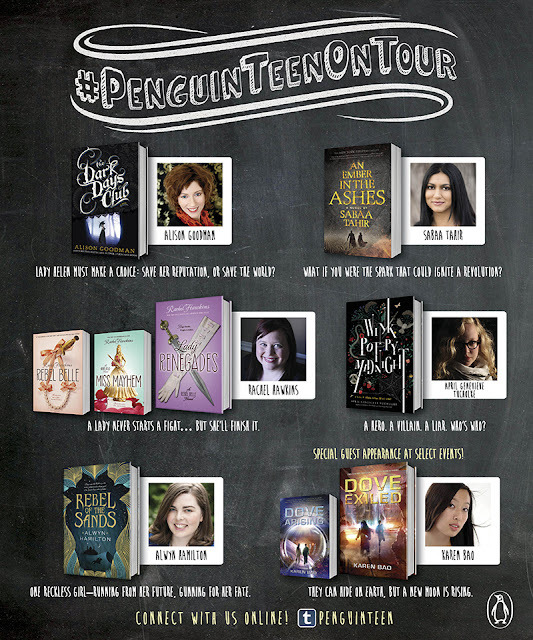 I am going to the Penguin Event today! So I thought I would review ALL THE BOOKS for you in one fell swoop! 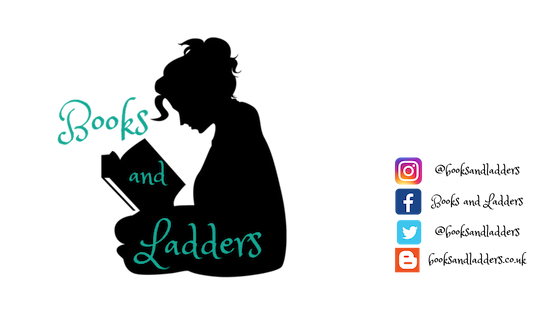 I have a Goodreads shelf SPECIFICALLY for all the books by all the authors so you can check that and them out. I can't wait to share my fun day with you guys! I am meeting up with a lot of bloggers and I will be doing a wrap-up after the event so you guys can learn all about it. I will probably also periscope at some points during the day too so watch for that! Oh how I wanted to like this one. There were lots of good things to this: I really enjoyed the MC, Lady Helen. Where most heroines written in this time period are either really into the society scene or really against the society scene, Lady Helen was somewhere in between. She didn't think she should HAVE to do anything, but still really enjoyed dressing up and being a part of society. Which was actually more refreshing than a Regency MC who hates everything about society tbh. I too would want to dress up in pretty dresses but not have to marry someone. But it was BORING. SO boring. It seemed like it took so long for anything to happen and we had just gotten to the "interesting" part at 40% and I was still really bored. I liked the explanation and how the demons in this one were described and found their power. But I just didn't care at this point. This novel is 500 pages long and it took until page 201 for anything to happen. That's not cool man. I may come back to it but I probably will not. It is just taking too long for anything to happen and it just seems so obvious the general way this story will unfold and I just don't really care. 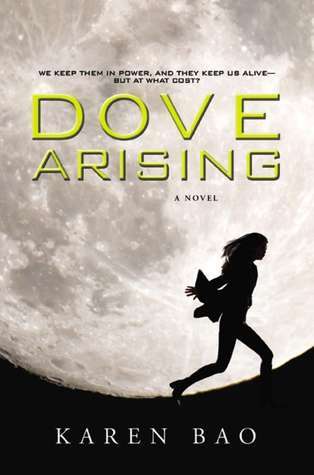 I have been on a mission since the Penguin Teen Tour was announced to finish all the novels I have been neglecting for the authors that are on said tour, hence me reading this one now. I picked this one up on my Boxing Day sale at BookOutlet (and have since acquired more copies for signing purposes) and TBH, I'm glad I didn't spend full price on it. It was super disappointing and left me bored rather than wanting more. Unless by "wanting more," you mean more out of this book itself. And the plot. I actually had high hopes for this one. I was skeptical going in but I didn't immediately hate it, which is basically a five star for me, but then it went downhill. I was okay with Part One being slow and a little repetitive because we had to set the stage for this Epic Trial Showdown™. However, I sped through this first section because it was interesting and pretty fast paced. Laia has to find rebels, Elias wants to desert and be free. It was very intriguing. I found myself drawn to them more and more. But then the Trials started. And *sighs* THERE WAS SO MUCH POTENTIAL. I mean, these kids are BRUTAL. These Trials could have been BRUTAL. Instead we barely got to witness them at all and half the time in the Trials was Elias thinking about everything BUT the Trials. Or being unconscious during them. It was stupid and ridiculous. Only to be made more stupid and ridiculous by the fact that Laia ended up playing a huge role in them. And why? Just so that our main characters could be together in scenes. AN EMBER IN THE ASHES had a lot of pretty words, but not a lot of action. The best parts were when Laia was doing what she could to survive. I thought she was brave and strong and even when she thought she was weak, I could understand where she was coming from. I also didn't really mind the romance. I am usually not a fan of slave/owner romances but this one didn't really feel like that -- they didn't really have that dynamic (and maybe it was just in my mind because she was "faking" being a slave). However, I am glad that both main characters had other romantic interests. Although, honestly, everyone in this novel had the personality of a wet paper towel. This one was disappointing. We never got enough of one thing and there was so much that could have been expanded upon that just wasn't. And I'm not sure why. The Trials could have been so badass and instead probably consisted of 20 pages total. It felt like there was never enough of anything tbh. I don't know if I'll be continuing with the series but it was something a bit different and has lots of potential so *shrugs* maybe. I'm going to see what the negative reviews of the next novel say to see if what I dislike continues into the next novel or not. by clicking on the titles! Overall, this is a really enjoyable series, a solid 3.5 star for the whole thing. 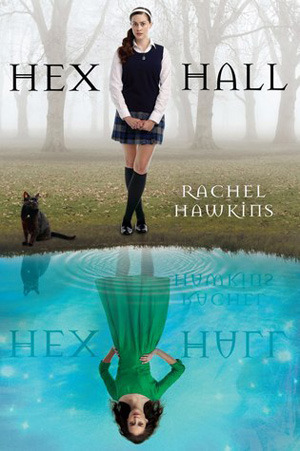 If you are looking for an interesting take on magic and a girl who KNOWS she has magical abilities before the story beings, this is for you. Also, there is a magical school and Archer, so you know, there's that. Let me start off by saying that I actually really enjoyed the overall story of this, but I did not like certain elements of it which greatly detracted from my reading experience. However, if you are looking for more books where you are a little confused until the very very end, this is one for you. Actually, I had it figured out immediately. Like I pegged what the "outcome" for each of the characters would be and (view spoiler) So it was predictable but I still enjoyed my read. 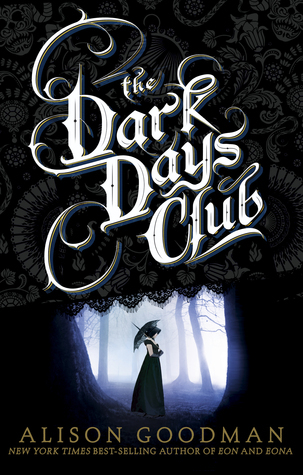 With this one being compared to The Raven Boys, I anticipated more magical realism and great characters. And while we got a little bit of both, it wasn't enough in my opinion. 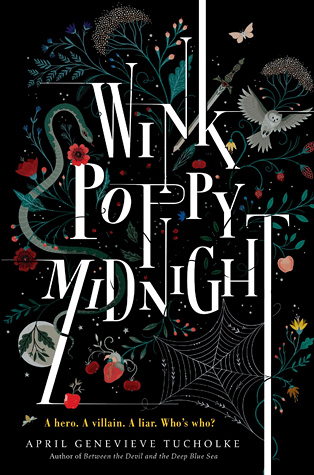 I think what really caused problems for me in WINK POPPY MIDNIGHT was that it switched from one point of view to another extremely quickly -- sometimes in the middle of the scene so we could get another character's perspective. Which worked in some cases, but not in others, and generally just left me very tired trying to figure out who was doing what and why. I also think that having the multiple points of view made it much more clear to me who was "what" (i.e. who was the hero, the villain, and the liar) because when you see things from three perspectives, you can sort of figure out the truth. However, I had no idea what was happening until about 40% through the book. It was an easy and quick enough read, but I didn't know what the "point" of the story was until the Roman Luck Prank. And then after that it was just obvious and strange in a good way. I liked the bits and pieces we got from the parents in this story because I think it added an extra dimension to the characters and why they acted the way they did. I also really liked that there were parents in this story and while they were varying degrees of attentive and supportive, they were still impactful in the character's lives. I think the strongest part of the story -- and the redeeming quality, imo -- was that I liked the characters. I could connect with all of them on multiple levels which made it easy for me to continue and flow through the story. I think they all had such good character development and I liked seeing Midnight really come into his own. I would have liked a bit more from Wink as I thought her development was too end of the book heavy, but she was still really relatable. Poppy was the easiest and hardest to connect to for me because I have hatred in my heart but not that much. But as she started to let it out little by little, I found myself more drawn to her and her character than any of the others. Although Midnight is still my favourite. I thought the Yellows were all well developed as well and had their own stories and secrets and wants and needs. I just wish we had seen more of them. Overall, I do recommend you pick this one up when it releases at the end of the month! It is one of those quiet YA stories that you don't expect to linger, but you find yourself thinking about constantly after you put it down. And I must say it has some rereadability. I would like to go back to the beginning and catch things I might have missed the first time! And now I leave you with: What are you: the Hero, the Villain, or the Liar? Finished this in under 1.5 hours because you just WANT to keep reading: it's really hard to put down! It is fast paced and has a good mix of action and romance. While the romance is there, it isn't overbearing and it feels natural as well. Jin and Amani spend a lot of time together before they realize what they feel rather than being completely head over heels from the first instant. Amani was BAE. She took matters into her own hands and did what she could to survive, but she still made choices based on what she wanted out of life. I think she was a well developed character that I aspire to be. She did everything she could for the people she cared about (mostly herself and Jin but I'm good with it). Jin was well developed as well. I had my suspicions about him that proved to be semi-true as the story went along. I liked that he had some ulterior motives but really just wanted Amani to be safe and sound. I loved the setting and thought it was really well developed. I liked the magical aspect of it and that every story had it's basis in fact and fiction within society. It was all very believable and made me, the pasty ginger, never want to spend more than one day in the sun for fear of being baked to a crisp or turned into a sand horse. My only complaint is that the reveal felt quick and out of nowhere. The way that it was set up didn't lead for the reader to really connect the dots because until it was revealed we had no information that could have led us to assume this was true. I would have liked just a TAD more leading up to it so that I could have guessed it rather than just feeling surprised. And maybe just a bit more in general about what this will mean in the future rather than what it meant for just now. However, I still really recommend this one. 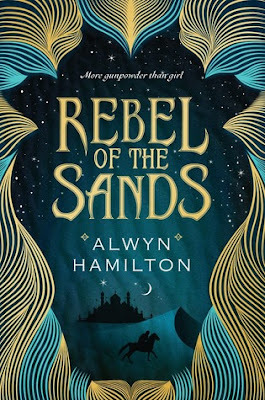 The cover is gorgeous, it has so much good stuff in it, and I just liked the dynamic between Amani and Jin. Just read this one. Read it. I guess most of my problems revolved around the pacing but also the lack of communication to the audience about what was happening. I just feel like so much more could have been explained -- and there was ample opportunity to do so -- and it just wasn't so it could be "shocking" and a "plot twist" (I guess?) but instead it just left me wondering what was happening and why there weren't more hints from the beginning. I also am not sure how I feel about the "romance"? Both felt so forced and I just couldn't deal with it. Anyway, I don't know if I would necessarily recommend this one. It is a pretty standard dystopian novel that doesn't really add a whole lot to the genre in my opinion. I think if I had been reading and not listening to this one, I wouldn't have finished it. I don't even know where to start with this one, tbh. It seemed like it was going to be a pretty solid book. I had ~some~ issues with it at the beginning, but not enough to take away from my enjoyment of reading (or I guess, listening, since I had an audiobook). However, after her mother's trial, at like 75%, the book took a nosedive. I think the main problem for me was the pacing. I liked that there wasn't too much time spent on the military training, but some of that felt too rushed. The reader needed a bit more time to understand what the military was about and why Phaet was pretty much selling her soul to the devil to join the military. As well, I felt like I didn't understand the full purpose of the training. It seemed like pretty standard and generic military training but I feel like there should have been more space related training to make it a bit more plausible considering they lived on the moon. I just feel like there was something lacking in the military training, considering it was such an important part of Phaet's character growth. It was pretty obvious that there was a rebellion but considering we didn't learn about it until 75% through the novel, specifically at her mother's trial, it seemed to really come out of nowhere. And the reasoning behind it was kinda confusing. I THINK it was about the fact that wealth isn't distributed equally -- or as equally as it could be -- but they seemed to put a lot of emphasis on the fact that the Earth's history wasn't a part of THEIR history. It was weird. And just everything after that made me dislike the book more and more and more. I think I would have liked it more if we knew about the rebellion at the beginning .. or if it had more ... meaning. The OTHER thing we learn about at the end is much more interesting than the rebellion, but because of the timing, it just made me roll my eyes even more than I previously had. I am just IDK MAN. This one is okay but it's not that good. I think the author had some good ideas but the execution just didn't work for me. I also didn't really like Phaet's relationship with Umbriel because it seemed like he wanted one thing and she wasn't really sure what she wanted, but went along with what he wanted so she didn't hurt his feelings. It irked the crap out of me. At the end she is like "I'm glad I just nodded and didn't verbally agree to being TOGETHER with him" and I was like confused because 1. she had already promised to be with him before but wasn't feeling it, just thought it would be good for her family and 2. she was running off with another guy. I didn't really like Umbriel to begin with but his interactions with her and the way he spoke to her as if she owed him a relationship because he was nice to her were really off-putting. Have you read any of these? Going to check any out? Are you heading to one of these events? 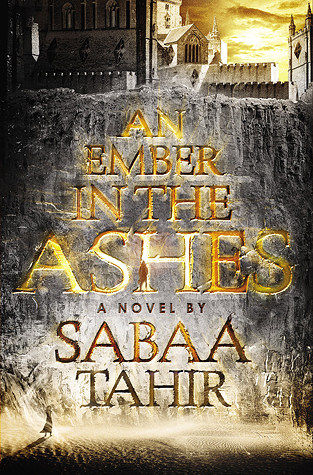 I definitely agree with your observations on An Ember in the Ashes. So much potentail there but I feel like, at times, it focused on the wrong things. The supernatural elements really confused me too so that dampened my experience. I'm very curious to see what happens in the sequel so I plan on picking it up. I'm very excited to read Rebel in the Sands and I can't resist the cover of Wink Poppy Midnight so I will probably pick it up later this year.